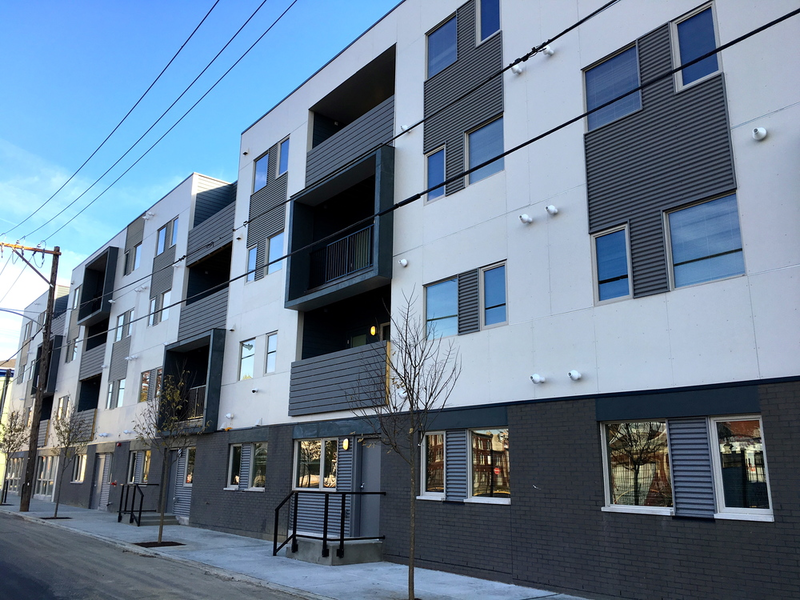 Construction served as the Prime Contractor for this affordable family housing development comprised of 45 total one, two, three and four bedroom Energy Star rated units. The 60,000 square foot development consists of three structures encompassing an entire city block. The design includes an underground storm water management system tied to a 6,500 square foot vegetative roof system. The building exterior is clad with brick, cement board, architectural metal panels and mahogany panel accents.